Broulim’s Dairy Queen: Buy One, Get One FREE Blizzards! Are you kidding me? BOGO Blizzards at Dairy Queen in Broulim’s? We’ll see you there! Buy One DQ Blizzard, Get One FREE when you mention The Dealio! 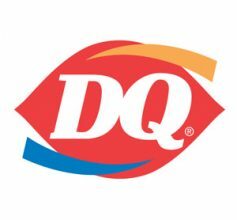 *Valid 9/28 at the Dairy Queen located inside Broulim’s in Ammon.